In comparison with the interior trends of 2016 the interior of 2017 is richer, more luxurious and more mature. Mature, but … certainly in the Caribbean! … playful with a wink: dare to add bold color accents and game elements. I invite you to take the challenge with paint: for example divide your wall in patches of color or paint right only your shutters and window frames. Hint: Restyle your interior to paint large color surfaces (walls, doors, frames, skirting boards) in one deep, rich color. For the doors, window frames and skirting boards you use a matte paint making it seem as the color runs through from the walls in the doors/frames/boards. This creates power & rest. 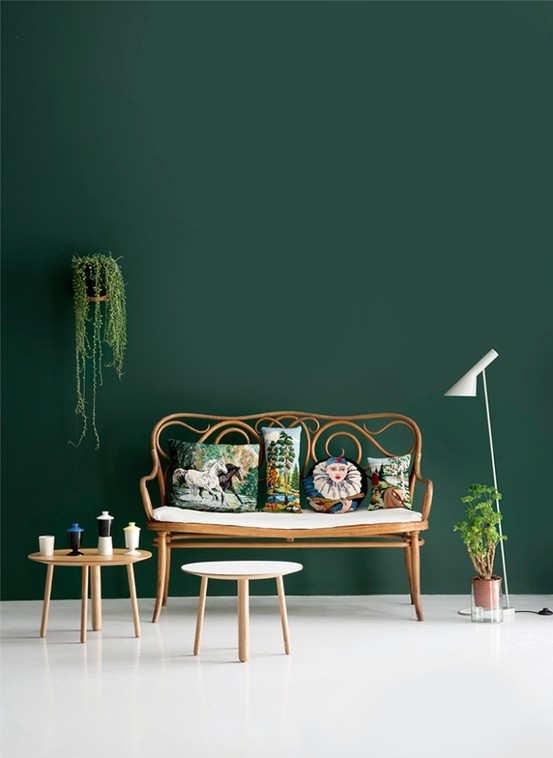 Urban jungle is the trend that started in 2016, but enthusiastic continues in 2017: many large plants, green material and green shades to paint walls. Colors as pink and lavender blue disappear and give way to warmer, deeper, fuller and darker colors. 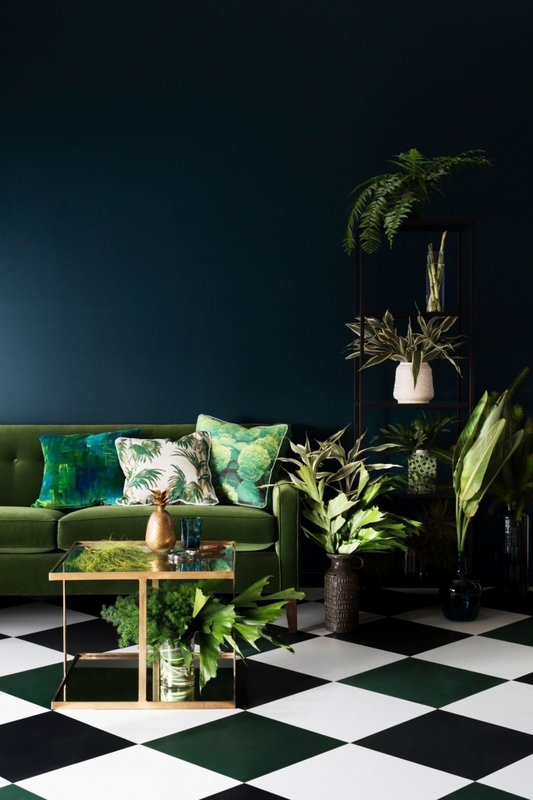 Blue and green become more prominent since last year when it comes to fashion and interior. For 2017 the popularity of deep and rich colors like green, yellow ochre, (dark) brown, wine red, dark purple, eggplant and old pink increases. 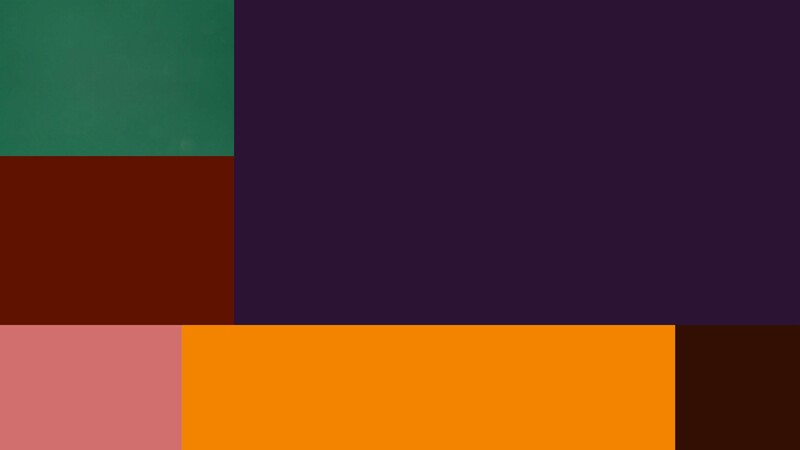 These warm colors we are going to combine with (dark) blue shades, including denim-blue. This color is a pleasant and timeless grey blue that, depending on how you apply it, always look different. 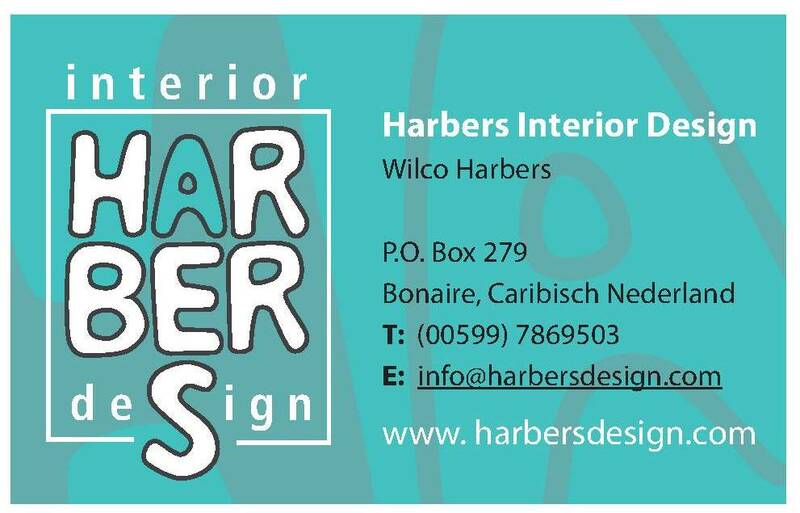 It is very easy to combine in a wide range of interior styles and atmospheres. With this shade of blue you can go different sides. Combine it with a dark key to go further in the dark interior style that began in 2016. Would you rather love a transparent, fresh and light interior? Also in combination with light tones this color looks fantastic! Through the use of rich colors you create cosy and ‘adult’ interiors. 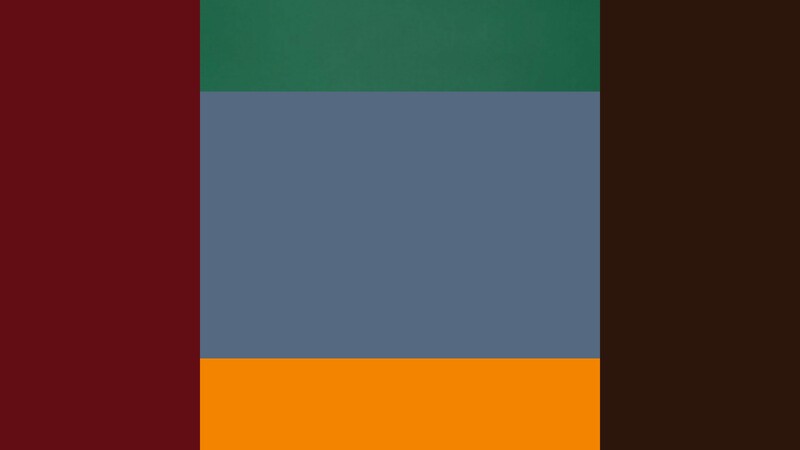 In addition to using dark blue also the use of (deep) green shades is favored. Certainly in a bold combination with warm red this gives you an old, classic, decadent, luxurious and rich feeling. Combinations with beige, brown tones and terracotta make it complete. In 2017 we see earthy tones, such as deep, rich terracotta tones prevail. This all has to do with a nostalgic hankering for the natural. 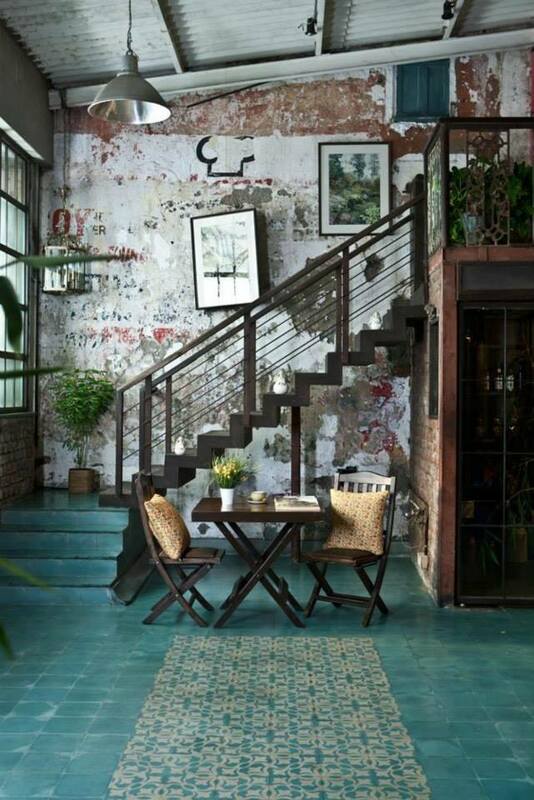 In interiors with earthy colours working with a deep green accent is very popular. This will stress the natural effect even more. Also house plants are a must-have! 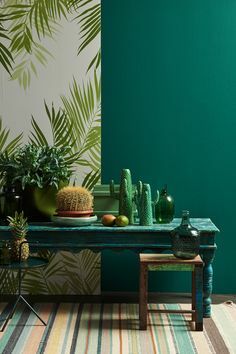 And with a complete green wall you’re doing along with the trend! 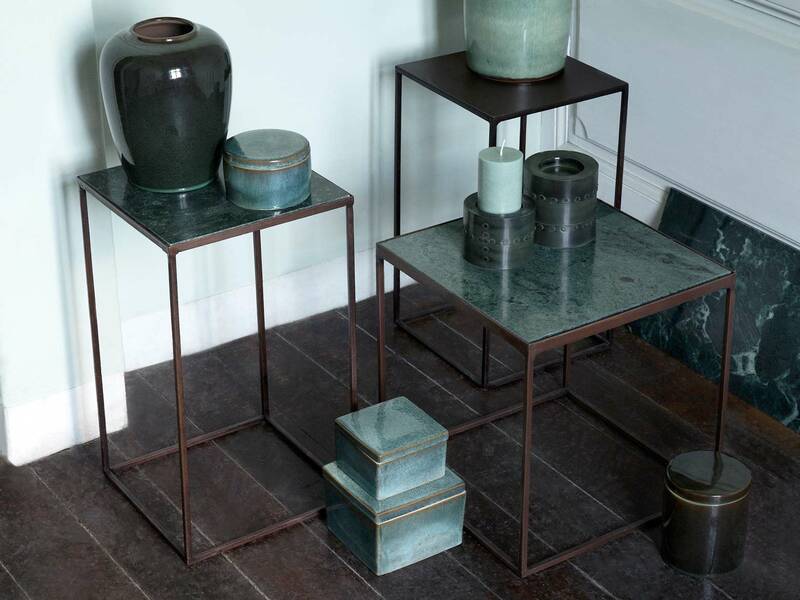 The ‘metallic trend’ (bronze, brass) combines great with the denim blue and deep green. To make your interior not boring, I advice you to mix the warm colors with cool colors. 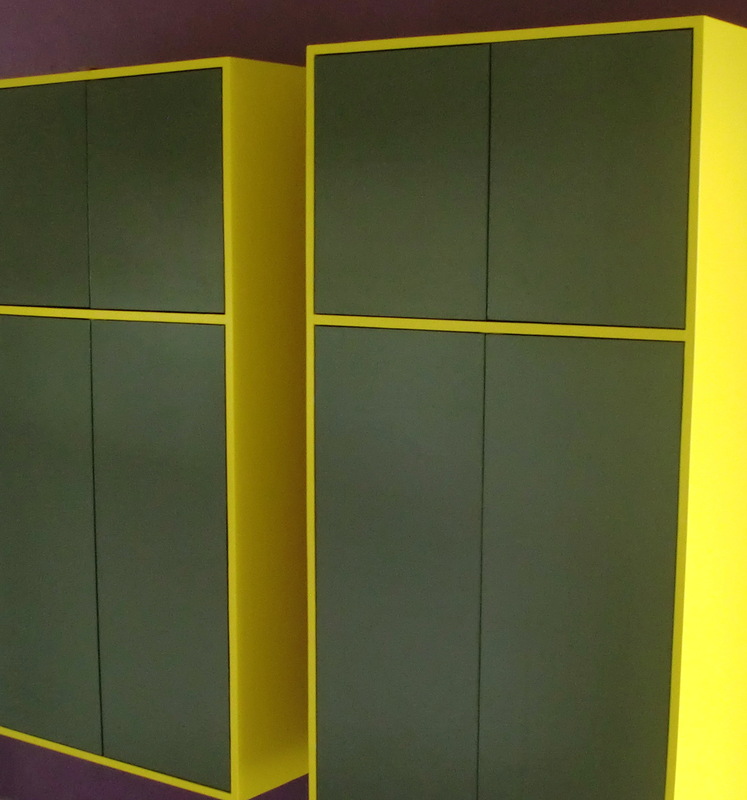 This allows you to combine dark green, olive green and dark blue very with lemon yellow. Smooth copper and white marble gradually disappear from the interior. Not only the colors are warmer, but also the materials. Brass, bronze, black steel, brushed copper and colored natural stone are going to play an increasingly important role in our interior. These materials gradually take over the role of the polished copper that so long dominated our interiors. An elegant and remarkable finish that fits perfectly between the cool blue tones and also between the warm earth tones. Combinations of warm colors with the mentioned metals provide a luxurious look. 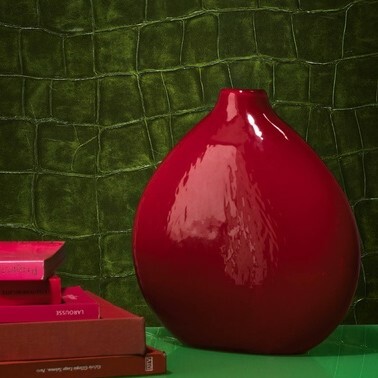 Green also fits the warmer trend: get a green touch in your materials. The materials become richer, rougher and more down-to-earth: brushed metal, pottery, rich natural stone, terracotta (tiles, pots), rattan and ceramics. Shiny materials, such as copper, will be replaced by matte, brushed and weathered variants. The fabrics become more luxurious, soft and rich: velvet or sheepskin. Fabrics that embraces you, as it were. In the desire for the natural and a preference for deep colors the step towards the use of natural materials can be made quickly. Cork is one of the favorite materials. It not only provides heat and sound isolation, but is also very practical. You fix all your photos and cards against it and it is easy to keep clean. 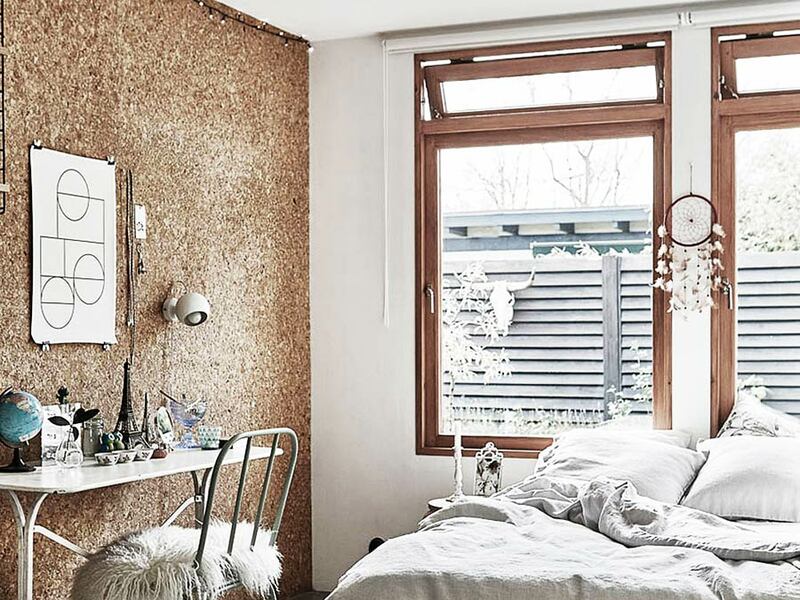 Wall cladding of sustainable wood, cork or coconut is trending. By using materials the boundaries between inside and outside will blur because green is the favorite color. Wood also continues to do very well as a finishing for interiors. Preference will be given to more dark wood tones, matching the deeper color trend by 2017. The natural finish can be combined with industrial elements to create a mix of styles. Luxurious and shiny fabrics used in armchairs, sofas and in window coverings are striking. We saw this especially in luxurious interiors, but in the new trends it is not crazy at all to choose a sofa set of velour. It gives a warm and a more luxurious look to your interior. More glitter and glamour we see in the materials of lighting, candlestick to vase. In recent years copper we saw more and more. Now it will be replaced/supplemented by/with bronze. Bronze is stylish and warm. You can apply it in your own way. It’s nice to choose a unity here, so to repeat the color. This will give more effect. 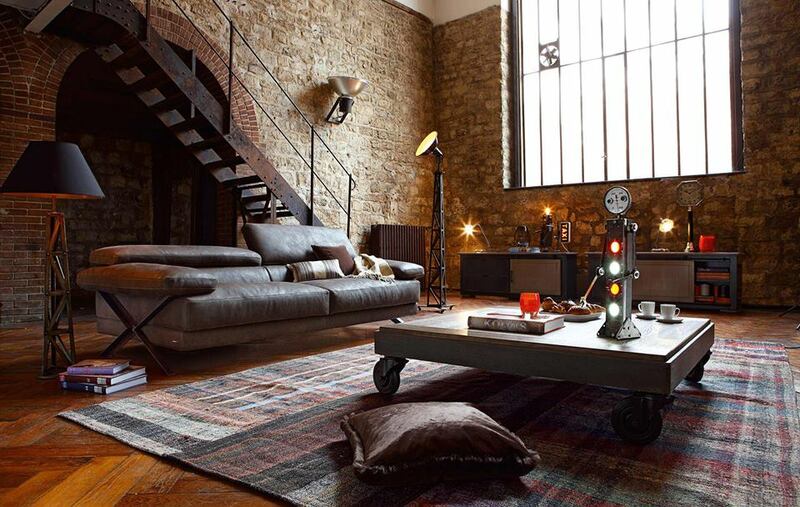 Popular are old factories that are converted into apartments and lofts. 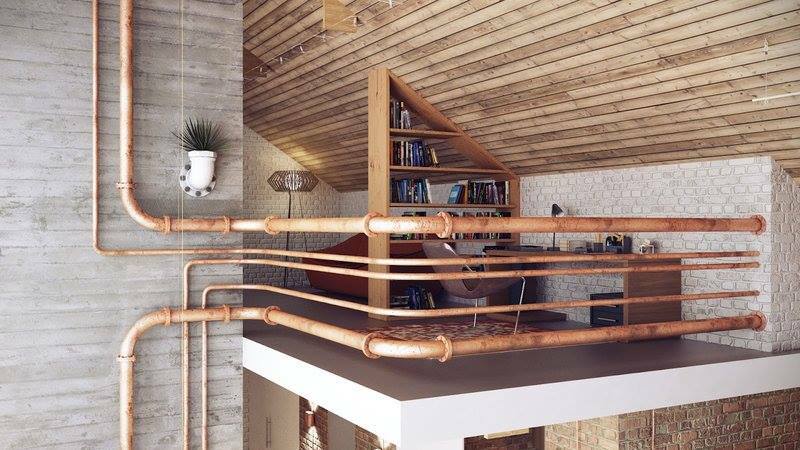 Handicraft and imperfection fits in here such as in industrial interiors with exposed pipes, rough walls and concrete. Furniture is made as if they were already used for years to give the interior more character. 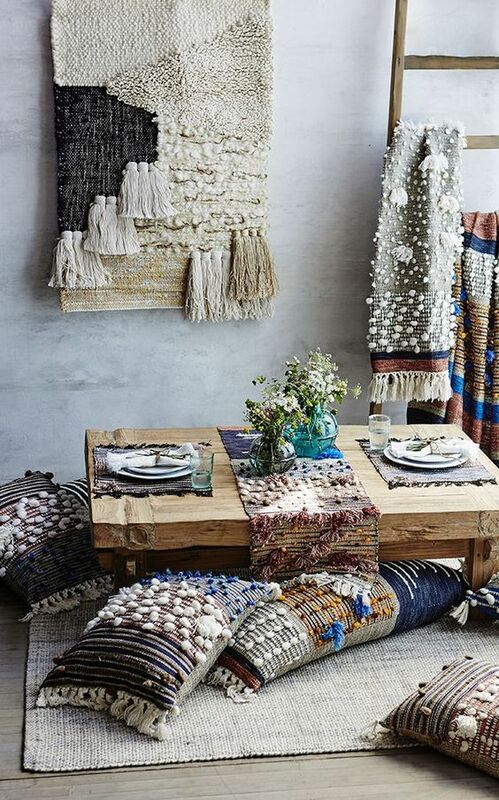 In art, rugs and living accessories we see the craft. It is original and doesn’t have to be perfect. The pieces, old or new, are produced in a limited edition. In the use of (room) plants we see that inside and outside run into each other. They are totally back with a vengeance. Plants hang on the wall and above the dining table. Green provides tranquillity and plants improve the air in the house. Plants give green a place in the interior. The banana plant, Ficus Benjamina, several palm species, succulent plants, hanging plants and cacti are very modern. Rugs are hot. In the interior of 2017 a rug should not lack! With a color and in a round or organic shape you will be ready for the next few years. 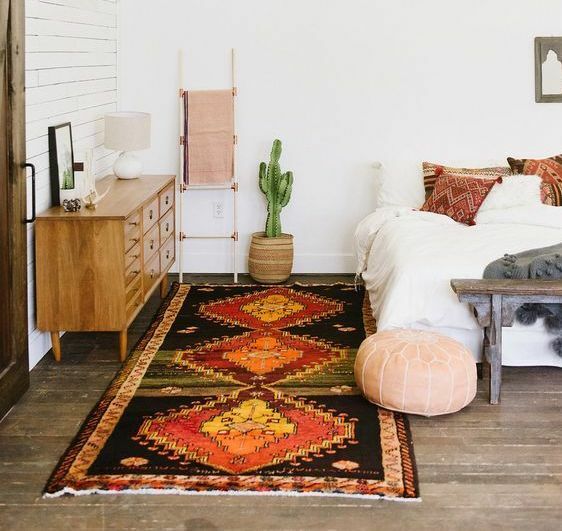 Go for a rug that connects all the furniture. And make sure all the furniture are placed on the rug, if only with a front leg. So you create rest and unity and all furniture will be connected with each other. Old kelims are reused to vintage rugs and new and old are no longer distinguishable from eachother. Flat, fluffy, colored or off-white: everything is permitted. By putting a colored carpet with print in your seating area you create a totally different atmosphere in your house. 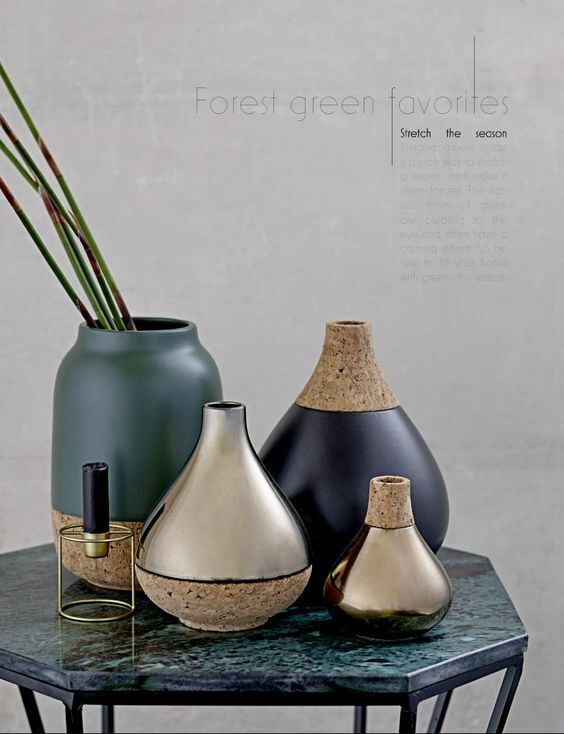 The ‘desert and jungle trend’ combines excellent with dark green and terracotta colors. 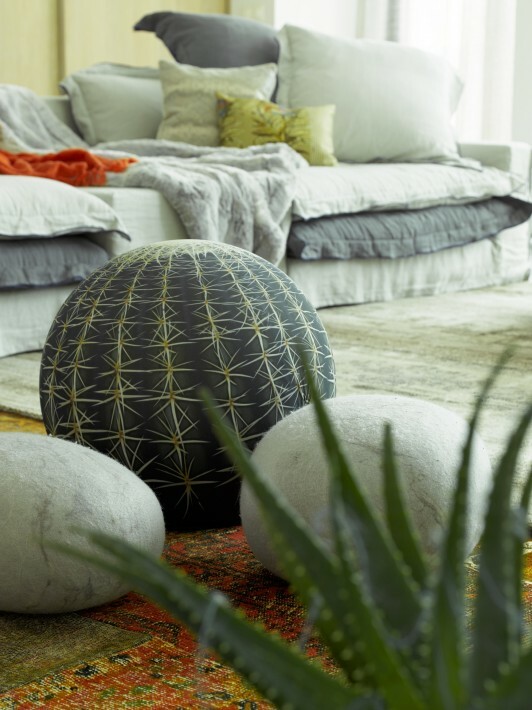 This means, among other things, that prints of cacti and Moroccan patterns are very trendy. Embroidery and knitting, braid, knot-work are favored in 2017: handmade, unique pieces. In 2015 and 2016, we saw a lot of round and oval shapes in the interior. Round side tables, rugs, vases, tables, foot stools, etc. The round forms remain in 2017, only then more organically. These organic shapes you see for example in tableware. 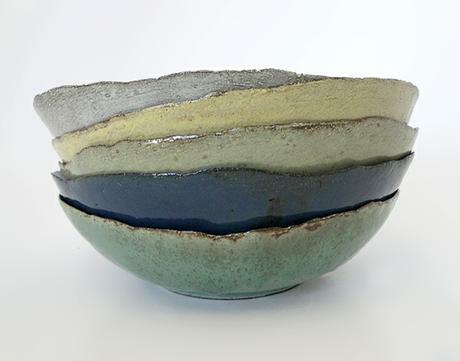 The art form wabi sabi fits nicely with this: the beauty of imperfection. Everything looks more natural and less perfect. We’ll be bringing the fabric back and replacing the timber. A neatly covered bed head in a color will be a winner in 2017. 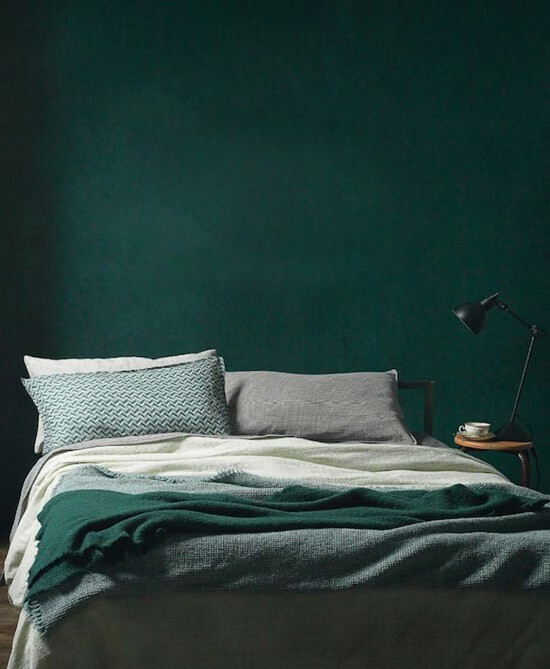 Whether you opt for the classic model in a neutral color with buttons, or a plush one in velvet, … a bed head is an easy way to update and add instant glamour to your bedroom. People are looking for more sustainable furniture and interior ideas. Reusing, repurposing and upcycling will remain a key element. We live in a world immersed in technology and disposable items so people are looking for a balance. Are you interested in a stunning interior advice?